Capacity: 10-16 vehicles – 2 passengers per car. Area Required: 18meters x 14meters. The Dodgem Cars are a definate favourite for young and old. Get into gear to dodge all of the other drivers without getting bumped yourself. It’s a great way to have fun and learn new skills. Exciting fundraising ideas for fetes, festivals and functions. We offer some of the best high-capacity mechanical rides allowing for; the easy and simultaneously loading of riders; potential to earn more in fundraising due to high turnaround times and SMALLER QUEUES. Your patrons will be riding, not standing in queues waiting. 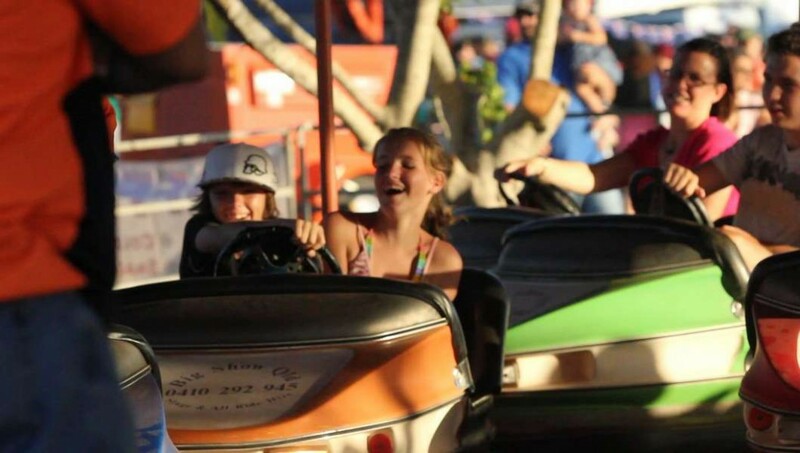 All of our amusement rides are up to current Australian Standards, are operated by fully-trained staff, and are all currently registrated and we are covered with $20 million public liability insurance.